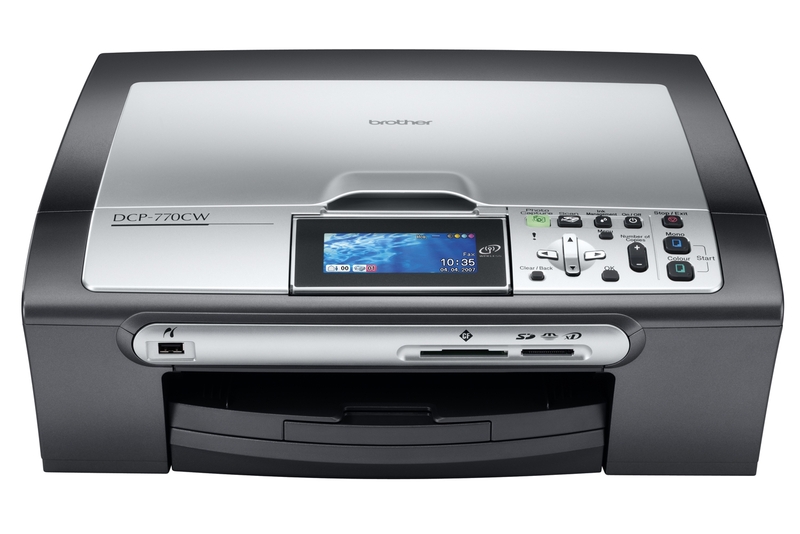 The Brother DCP-770CW is highly regarded for it's high quality prints and reliability. Unavoidably your Brother DCP-770CW will consume all of your printer ink, and when that does happen you'll soon discover that new Brother DCP-770CW ink can be really expensive. You don't need to waste your time worrying about coughing up the steep asking prices you'll uncover on the high street because now at Cartridge Save you can find all the Brother DCP 770CW cartridges you will need at low cost. Spend less cash on your ink by shopping with Cartridge Save! There's little sense in paying so much for the DCP-770CW original cartridge or DCP-770CW compatible ink on the high street when it is far easier to save a pile of cash shopping online with Cartridge Save. Have one hundred per cent satisfaction by ordering your DCP770CW ink cartridges from us because they are all guaranteed by a rock solid money back guarantee. Remember that every order has free delivery, most likely arriving at your address next day! Specifically designed by Brother engineers for the home office and a small business, the DCP-770CW is an innovative product that ensures professional-quality copies, scanned files, and colour prints. Its stylish and compact design as well as its wireless interface makes the Brother DCP-770CW an attractive choice, but users who require a more user-friendly or plug-and-play device may find it lacking in terms of performance, reliability, and overall quality. The widescreen 3.3-inch colour LCD display is the centrepiece of the Brother DCP-770CW. Another notable change is the integrated Wi-Fi option. Its standard memory is still sub-par at 32MB, but this model promises high-quality colour prints with its inkjet technology. Brother added the Photocapture Centre technology to this printer, so it is possible to print directly from a USB flash drive, memory card, or digital camera via PictBridge. The DCP-770CW is compact at 150mm tall and 360mm deep, but it tends to take up more space at 398mm wide. Borderless printing, a maximum of 6000x12000 dpi print resolution, and speedy printing at up to 30 ppm in monochrome and 25 ppm in colour are among the notable perks of the Brother DCP770CW. Users can print wirelessly or choose to physically wire the printer to a computer via USB. The direct-printing capabilities of the Brother DCP-770CW allow users to save time and effort from loading their documents and pictures into a PC. Overall, the Brother DCP-770CW's quality and speed are not impressive and cannot compare to competing models from other brands. The Brother DCP-770CW appears compact, but it is actually quite heavy at 7.3 kg.